This chapter provides crucial information that was found to be relevant to the present study. 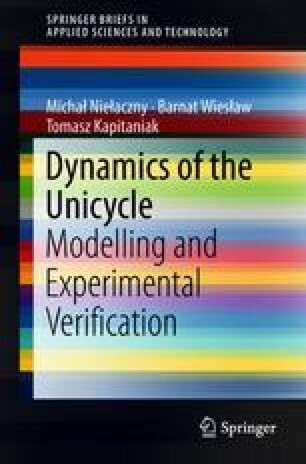 The related information regarding the unicycle, such as design of particular types, unicycle performance during riding and a brief history of the unicycle evolution, is presented. Additionally, technical aspects of the unicycle approach in designing and controlling of walking robots are discussed. http://www.krisholm.com/en/. Retrieved 3, 2015. (Figure 1.5 presents Max Schulz (photo by George Smith). Scott Wilton is shown in Figure 1.6 (photo by Warren Howell). Courtesy of Kris Holm).